While many loved the scenic course, crowd support, and near perfect weather, runners at Sunday’s Marine Corps Marathon universally raved about one thing: Marine volunteers who motivated them to cross the finish line. [button-red url=”http://www.marinemarathon.com/Results/MCM_Results.htm” target=”_self” position=”left”] Results [/button-red]Thompson, who finished in under four hours, works out with November Project D.C., a group that promotes free fitness with workouts – including running the Lincoln monument stairs – all before the sun comes up. She credits her training with the group, and support from fellow group members along the course, for the improvement over her 2013 time at the race. Megan Clark, 34, also really thrived on the energy from those on the sidelines, saying the support from the crowd is what helped her hit her time goal at her first marathon. The D.C. resident had hoped to finish in under 3:45, and ended up crossing the finish line in 3:42. 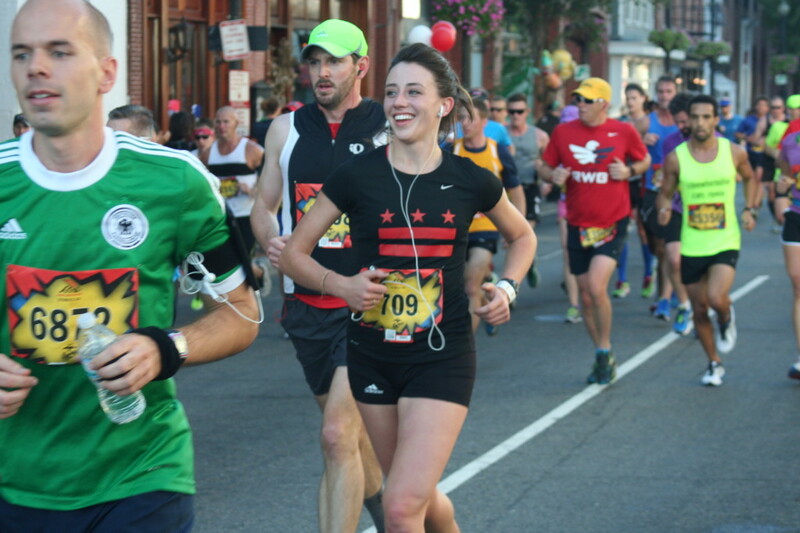 While many spoke about the beautiful course passing by historic monuments, Clark said her favorite part of the course was getting Dunkin Donuts munchkins at mile 24. While her first race was a success, Clark wasn’t sure if there’ll be another 26.2 in her future immediately after finishing. Whittney Hollingsworth, 50, struggled with hills at the start, saying that while she expected some hills, she wasn’t prepared enough for elevation changes at the beginning. Paula Dubovoy, 23, broke four hours at her second marathon, where she ran for World Vision, a nonprofit that raises money to build wells for those who may not have access to clean water. “What I love about them is they motivate people here to stay in shape and to achieve something that someone may think they would never be able to do but then there’s a greater purpose behind it as well,” the Westborough, Mass.-resident said. Her favorite part of the course was the Marine volunteers at water stops and along the course cheering her on, while she could thank them for their service as well. “It was just really neat seeing all the Marines and them cheering for us and thanking us and then being able to thank them as well. It’s just a cool thing, they’re thanking us and we’re thanking them,” she said. Darjush Boushehri expected a mediocre performance, as his marathon training took a back seat to his final semester finishing up his J.D. at George Washington University. 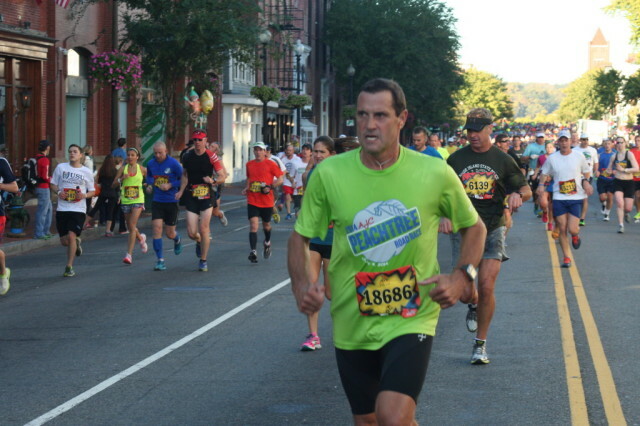 Despite that, the 33-year-old Greenbelt resident was happy with his performance at his second Marine Corps Marathon. He first ran the race in 2011 and came back because of the great organization and scenic course that winds by the Kennedy Center, one of his favorite parts of the course. Boushehri ran Sunday for Teens Run D.C., a running group that pairs inner city kids who are interested in running any race distance with an adult mentor. “It helps to keep them accountable, keep them in shape and give them something else to do,” he said. He doesn’t any other races coming up before he graduates in December, but is working toward the Shamrock Whale Challenge in March, where he plans to run a 5 miler and a marathon on consecutive days, and will compete at Ironman Cozumel later in 2015.